If available for your device, you can visit the admin page or VZAccess Manager to see the amount of data used. You can also view data usage by visiting Mi Verizon. From the Windows desktop, navigate: Start menu icon > Settings > Network & Internet. 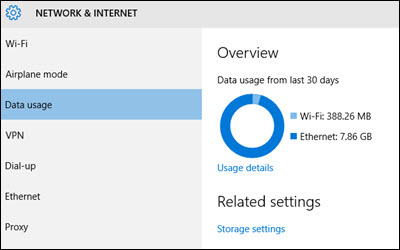 Click Data Usage and view the usage overview. The graph shows a breakdown by usage type (e.g., Ethernet, Wi-Fi). 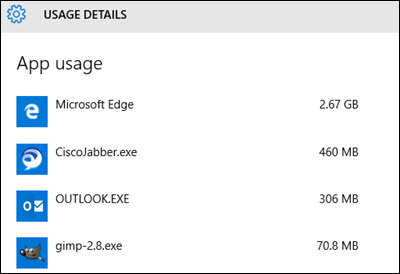 View the usage specific to each app or program.